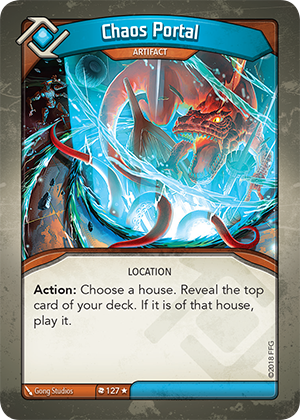 Card Text Action: Choose a house. Reveal the top card of your deck. If it is of that house, play it. What happens if my deck is empty? You can only shuffle your discard pile to reset your deck when you need to draw a card, not when you need to reveal a card. Therefore, if a deck is empty, a card cannot be revealed and no card can be played.